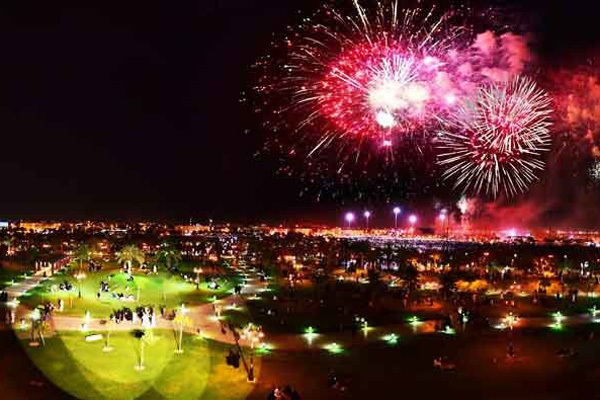 Jeddah is gearing up for the 20th edition of its Summer Festival, which is set to kick off on June 25, with a number of cultural and entertainment activities lined up for 30 days, said a report. The 30-day event is being organized by the Jeddah Chamber of Commerce and Industry (JCCI) with the participation of 10 big shopping centers, said a report in Arab News. During the festival, people can compete for 500 prizes worth SR1 million ($266,557) and draws on various other prizes. “This year, we have focused on attracting visitors and families from inside and outside the kingdom through a series of activities that satisfy all tastes at the Jeddah Corniche, at shopping malls, and across Jeddah,” said JCCI secretary-general Hassan bin Ibrahim Dahlan. For the first time, this year’s festival will host a friendly basketball tournament for people with special needs, broadcast the Fifa World Cup games, feature an air village, and hold cultural activities related to women driving cars such as “Hayya Nasouq” (Let’s Drive), the report said. “The JCCI was assigned the great responsibility of choosing various quality activities that meet international standards. The event has also succeeded in establishing Jeddah as an international tourist destination with its tourism boom and high annual hotel occupancy rate, owing to the developed and innovative Saudi tourism products provided,” he added.